You could have the greatest career trajectory since Bill Gates, but if you fall prey to some of the common resume mistakes that people often pepper their resumes with – it will all be for nothing. There is a difference between an annoying error that affects your chances and an outright howling mistake that gets your resume rejected outright. There are still a lot of mistakes people make that are easily fixable, either with patience or by involving professionals to do the heavy lifting for you. We will be honest here – the best way to avoid making resume mistakes on your career documents is to engage a company like Select Resumes to do it for you. You can relax in the knowledge that it will be a professional, on-point, error-free accurate reflection of you and how you will be an asset to the company you are targeting. But just in case you would prefer to go it alone, here are some tips from the professionals. 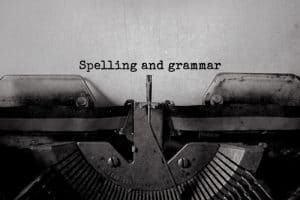 Although typos and grammatical errors are almost a thing of the past thanks to inbuilt software on all our PCs and proprietary software such as Grammarly, there are still industry nouns, locations and acronyms that people misspell. These are sometimes even worse than regular typos because they relate to the industry that you are meant to be an expert in, so that makes it doubly damaging to your chances. Use positive language! So many people begin sentences with “Responsible for…”. This is simply saying what your employment duties are or were. 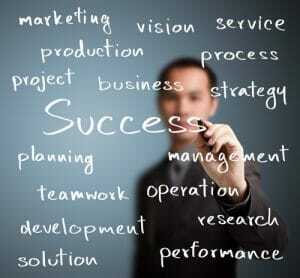 It does not imply success in that duty. You need to expand on these points, take the extra effort to explain in detail what your accomplishments are — not what you were expected to accomplish. Do not ramble – stay focussed and remember that your resume needs to show a progressive arc from start to finish. If there are positions that you took on that do not add anything to your story – leave them out. It is far better to have a gap that there are many good reasons for, than to put in a job that is totally irrelevant. Although, do not make the mistake of negating positions just because they are outside of your current or intended industry. Prior work may include work that although not in your industry, contains skills and experiences that are entirely congruent – these should stay! You need to weave your personality into the resume. This can be tricky for some people to pull off without seeming self-conscious or false-sounding on paper, but it is vital that the recruiter get a sense of you – your passion for your work, your commitment to succeed. Use positive adjectives – but sparingly – when describing key achievements and your career outlook. These will go a long way in imparting a sense of you as an individual – vital for helping the HR manager make an informed decision. At Select Resumes, we handle all this for you, plus we present the work in a clear, easy to read, professional format with an exclusive design template that gets you noticed. So whether you are just starting out, or are a seasoned worker looking to move up the career ladder, you need to recognise that your resume is an important document that cannot afford to fail you because of simple resume mistakes. Contact the team at Select Resumes today for a FREE resume writing service appraisal.